Student Sues Feds After He Was Arrested For "Smelling Like Weed"
After being searched, arrested and $11,000 seized, this young man is being vindicated after nearly five years of waiting. While traveling from his hometown back to his college, this young man was stopped at the airport and searched by security agents. The scent of cannabis caught their attention and immediately the young man was pulled aside and asked to empty his belongs. After agents found nothing but $11,000, the money was confiscated and the young man was arrested and charged with resisting arrest. Now, he’s been vindicated in the best way possible. However, many others aren’t as lucky. 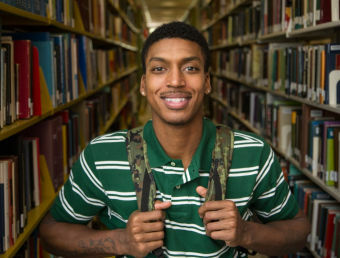 In February 2014, Charles Clarke II was traveling from Covington, Ohio back to his college in Florida, where he studies diligently and mandates a respectable grade point average. While at the Cincinnati/Northern Kentucky International Airport, awaiting his flight, a ticket agent reported to airport security that the smell of cannabis was coming from Clarke and his belongings. After performing their search, agents and K9 units found no cannabis, but they did find $11,000 in cash, which Clarke claimed was to be used to pay his tuition once he arrived back at school. Unbelieving of his story, officials confiscated the cash and arrested Clarke for resisting arrest, but filed no drug charges because no drugs were found. While no one quite understood why the situation warranted such scrutiny, officials believed the scent of cannabis alone was enough to prove Clarke had committed a crime. The two agents who had performed the search, one local police officer, and one airport police officer, were working for a federal Drug Enforcement Administration task force. This gave the officers federal jurisdiction to search and seize any parcels or cash they deemed to be involved with drug trafficking. Knowing that he had done nothing wrong, Clarke refused to sit by and watch his rights be violated in such a horrific way. He contacted the Institute of Justice, a Washington-based legal advocacy agency, and in June 2015, sued to have his property returned. The resisting arrest charges were quickly dropped, but receiving his cash would take more patient and perseverance. Finally, after months of back and forth, Clarke and the government decided to settle outside of court to avoid further delays and expenses. Not only will his $11,000 be returned within a month, but he will also receive a smaller amount to account for the interest. While he feels vindicated, the incident should have never happened to begin with. Clarke’s lawyer, Darpana Sheth, who took the case pro bono, is relieved the ordeal is over and that her client came out the victor. However, the Institute of Justice is well aware that many cases like this go uncontested simply due to the lack of funds available to fight the government. That puts the onus on the property owners, many of whom can’t afford lawyers to get their assets. In this case, there would have been no way Charles could have gotten his money back if not for some pro bono help from the Institute of Justice. The legal fees alone would have eaten up all his life savings.